Signal detection and estimation theory, statistical signal processing, pattern recognition and machine learning, remote sensing, matched-field processing, and ocean acoustics. Czarnek, N; Morton, K; Collins, L; Tantum, S; Throckmorton, C, The impact of time on seizure prediction performance in the FSPEEG database., Epilepsy & Behavior : E&B, vol. 48 (July, 2015), pp. 79-82 [doi] [abs]. Knox, M; Tantum, S; Collins, L, Target detection and identification using synthetic aperture acoustics, Smart Structures and Materials 2005: Active Materials: Behavior and Mechanics, vol. 9072 (January, 2014), SPIE [doi] [abs]. Tantum, SL; Colwell, KA; Scott, WR; Torrione, PA; Collins, LM; Morton, KD, Sparse model inversion and processing of spatial frequency-domain electromagnetic induction sensor array data for improved landmine discrimination, Detection and Sensing of Mines, Explosive Objects, and Obscured Targets Xviii, vol. 8709 (June, 2013), SPIE [doi] [abs]. Tantum, SL; Scott, WR; Morton, KD; Collins, LM; Torrione, PA, Target classification and identification using sparse model representations of frequency-domain electromagnetic induction sensor data, Ieee Transactions on Geoscience and Remote Sensing, vol. 51 no. 5 (January, 2013), pp. 2689-2706, Institute of Electrical and Electronics Engineers (IEEE) [doi] [abs]. Tantum, SL; Colwell, KA; Morton, KD; Scott, WR; Collins, LM; Torrione, PA, Feature extraction and processing of spatial frequency-domain electromagnetic induction sensor data for improved landmine discrimination, Detection and Sensing of Mines, Explosive Objects, and Obscured Targets Xvii, vol. 8357 (May, 2012), SPIE [doi] [abs]. Stacy Tantum is an Assistant Research Professor in Electrical and Computer Engineering. 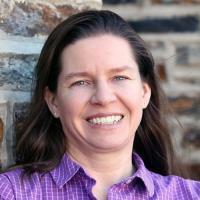 She received her Ph.D. in Electrical Engineering in 1998 from Duke University. Her research is focused on signal processing with applications in remote sensing and ocean acoustics.